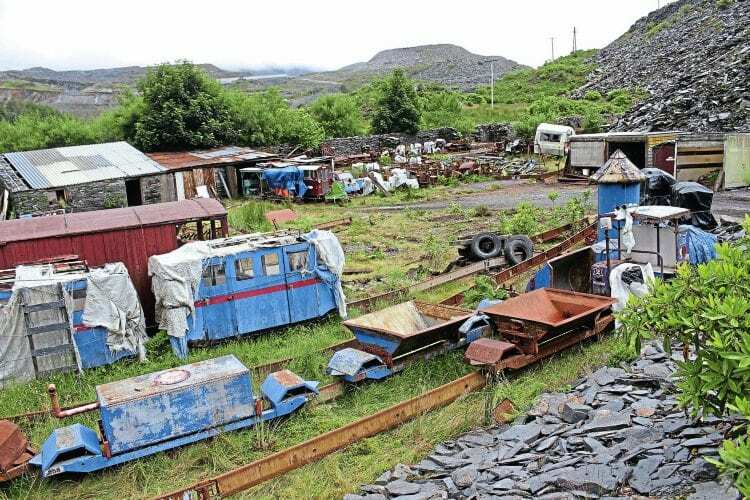 A COLLECTION of industrial narrow gauge and monorail equipment, amassed over 40 years by Rich Morris at Blaenau Ffestiniog, started its relocation to a site near Oswestry in late July, writes Peter Nicholson. The equipment, sited on land adjoining Mr Morris’s former home, was subject to an eviction notice, giving only weeks for its removal. Mark Hignett, of the Tanat Valley Light Railway/Nant Mawr Visitor Centre (NMVC), had been in contact with Mr Morris for the past 16 years, offering to rehouse the equipment should its owner ever wish to relocate the collection. The offer was taken up within days of the notice being received, lorries beginning the mammoth task of shifting more than 100 monorail power cars, their trailers, rail and related supports, plus ancillary equipment.